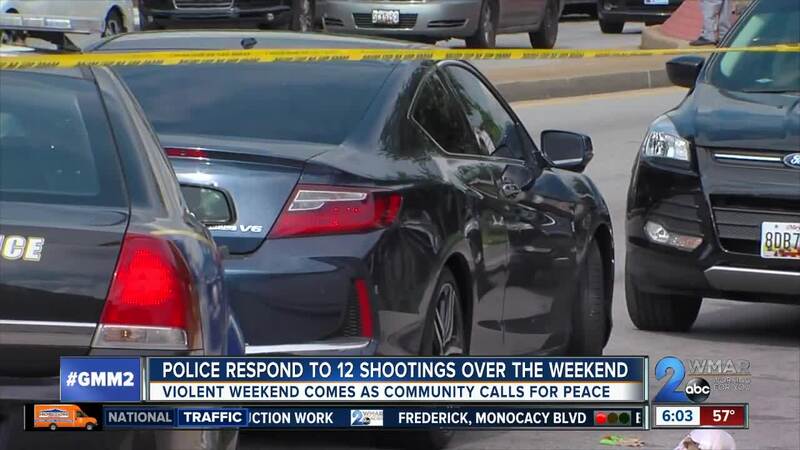 Four people are dead and nine others are hurt following twelve shooting incidents in just over a 48-hour span. The latest incident occurred at around 9:45 p.m. at the intersection of Frankford Avenue and Sinclair Lane. A man was critically wounded. Just over an hour before that an 18-year-old man was fatally shot in the 4100 block of Frederick Avenue. The violence however began Friday evening at around 7:30 p.m. in the unit block of N. Abington Road. Baltimore Police responded to the location for a report of a shooting. Upon their arrival, a 27-year-old man was found suffering from a gunshot wound to the chest. He was transported to a hospital where he later died. A short time later a second victim, a 31-year-old male walked into an area hospital with a gunshot wound to the stomach. Less than an hour later Eastern District officers responded to a local hospital for a 40-year-old male walk in victim with a gunshot wound to the arm. A 34-year-old man then walked into a hospital about two and a half hours later, with a gunshot to the foot. Investigators believe the incident occurred in the 5000 block of Benton Heights Avenue. On Saturday afternoon at 4:25 p.m., officers were called to the 6800 block of Fairlawn Avenue for another shooting. Responding units found a 17-year-old male shot to the leg. Not even two hours later, officers patrolling in the area heard gunshots coming from the 1800 block of Pennsylvania Avenue. There they found a 51-year-old man with a gunshot wound to the shoulder. Two more hours passed before officers in the Northeast District responded to the 4300 block of Greenhill Avenue to find a 22-year-old male shot to the leg. Detectives think the actual incident took place in the 4900 block of Sinclair Lane. To conclude Saturday night, beginning at 10:45 p.m., two more incidents were reported 15 minutes apart. The first involved a 30-year-old male shot to the body. Police believe the victim was shot during an attempted store robbery. Then across the City, a 40-year-old man was fatally shot in the 1600 block of Pentwood Road. 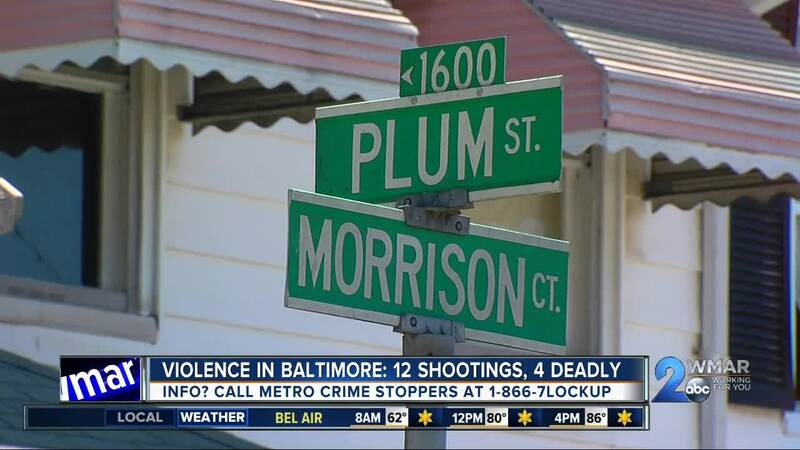 Early on Sunday morning just before 5 a.m., a 22-year-old man was shot to death in the 1600 block of Plum Street. Later on before noon a 36-year-old man was shot in the back in the 3600 block of Edmondson Avenue, a mere three blocks away from where 7-year-old Taylor Hayes was critically shot last Thursday, July 5. Anyone with information on any of these incidents is asked to contact Metro Crime Stoppers at 1-866-7Lockup.